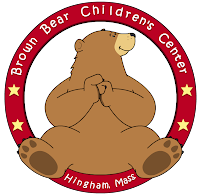 This is the logo/mascot I created for Brown Bear Childrens Center in Hingham. 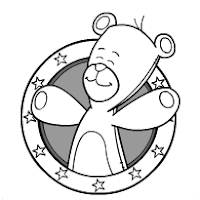 So, I have this side project where I do creative for Little Blue Suit Entertainment (Music for kids) anyways, this was one of the covers I designed (I also created all the characters). 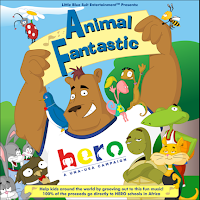 You can check it out here: http://www.animalfantastic.com/ I created the website as well. I'm still way ahead of my normal schedule. Anywho, here's a design I made for a T- Shirt of a Tiki spirit thing...when on a t-shirt looks as tho he is bursting from my stomach and trying to strangle me. I'm not sure what my reasoning was.